Statement from the Charity Commission on the registration of Living Out following a decision review. ‘Living Out’ applied for registration as a charity in 2015. The Charity Commission rejected its application on the basis that it was not satisfied that its purpose was charitable for the public benefit. The charity requested that this decision was reviewed under the commission’s decision review procedures. As part of the review the commission met with the trustees and received further evidence demonstrating that the organisation would be charitable. The commission advised that in order for ‘Living Out’ to be charitable, the organisation would have to revise its objects and ensure that it would operate within those objects for the public benefit. In those discussions, the commission sought assurances that the charity’s activities, including the contents of the charity’s website, would reflect the revised objects. The charity agreed that they would. The commission has written to the charity to ensure that it complies with the assurances given. During the course of the Decision Review, the commission also received specific assurances that Living Out is not trying to ‘cure’ homosexuality. 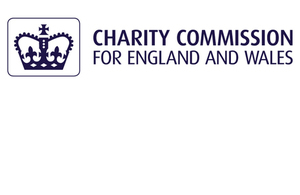 The commission regularly monitors charities that were the subject of a complex registration process to ensure that they are operating in line with their objects and charity law. The commission emphasises that its role is not to pass moral or ethical judgment on religious groups, but to assess whether religious organisations applying for registration as charities meet charity law requirements, particularly in relation to public benefit which requires the practice of the religion to provide benefit to the wider community.